Is VOIP the Future of Business Phones? Companies who have yet to upgrade their business phone system to VOIP are often using an obsolete digital system that has been discontinued. These systems typically have limited to no parts or support available. This presents serious issues for business operations if there is any type of hardware failure. Many companies are unfortunately left inoperable for multiple days while they try to find a vendor who has old refurbished parts that they can use to service their already failing system. Often times, companies resort to ordering overpriced used parts off of Ebay to service their old system. They often think that it is cheaper than purchasing a new system. However, if you factor in the money spent on parts and labor to maintain a system that will eventually fail all together, transitioning to VOIP is a no brainer! At R19 we often surprise our customers throughout Monmouth County and all of NJ who call in with a down system as to how affordable a new VOIP system really is. Separate from the cost, there is no worry of purchasing a system that will become obsolete within a few years. With our R19 VOIP phone system there is no hardware onsite aside from the phones themselves. So, you don’t need to worry about system hardware going bad and needing to be replaced. Everything is managed offsite in a fully redundant facility managed by Network engineers. These engineers are constantly monitoring and upgrading the system to meet current standards. In addition to not having to worry about a system failure, our R19 VOIP business phone system is also dynamic. This means that as technology evolves and new features release, they become available to you at no additional costs. This is a great way to plan for the future! In 10 years you will still have all of the newest features available to you without having to purchase a new system. 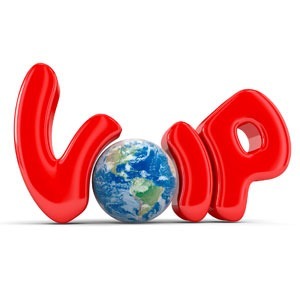 These are just a few of the many reasons VOIP is the best choice for companies who are looking to upgrade in Manasquan, Tinton Falls, Red Bank and all of NJ!